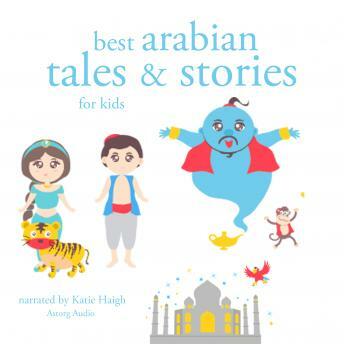 Discover the endless fascination of ancient Arabian culture with six ancient tales we selected for you for their power of evocation, wisdom and humor. These stories are from the Arabian Nights, also known as One Thousand and One Nights, which is a collection of much more ancient folk tales, fairy tales and poems collected over the centuries. They come from ancient and medieval Arabic, Persian, Mesopotamian, Indian, and Egyptian folklore and literature. This makes The Arabian Nights a priceless treasure, as it takes us to the very roots of humanity's cultural treasures in a delightful and passionate way. Enjoy six of the the most charming stories told by Sheherazade: Sinbad the Sailor; The Enchanted Horse; Ali Baba and the Forty Thieves; Persevere and Prosper; The Story of Caliph Stork; and Aladdin.